TradingView has added a key feature to the CQG platform to support a social community of over 1 million traders. Online web based charting provider, TradingView, announced today on its blog the addition of a new trading tool – Depth of market (DOM), which is already available now on the charting platform, as per a corporate statement. 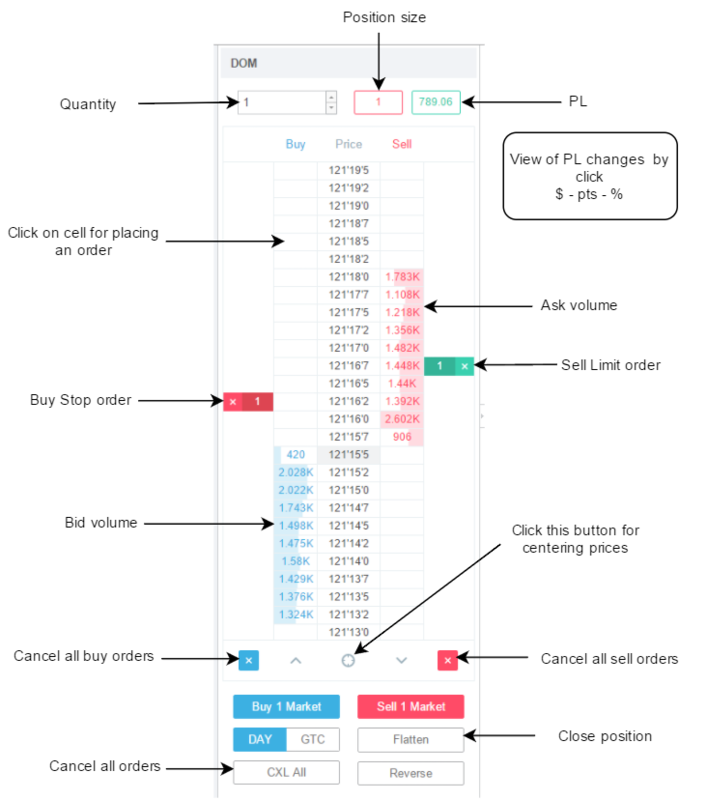 The new tool shows a list of open buy and sell orders for a security at different prices, so you can see at a glance what kind of liquidity is available for each symbol and each price. The data is streamed from CQG, and could be slightly different since various data sources are used. Since it shows pending orders for a security or currency, depth of market data is also known as the order book. In general, such DOM tools give traders a close-up view of market liquidity. As such, it is particularly very useful for traders who need to see details of short-term price action, and those who need to open and close orders quickly, such as scalpers or those who trade news events. To use the new feature, the trader needs to connect to his CQG account, then click the ↑↓ button at the top right of the chart. After that, a new window will open to display Depth of Market for the current security. Data is shown in a semi-static format. This means that the price rows are fixed while the price moves within the shown range. If the price moves above or below the visible range, it’s re-centered after 5 seconds. From the table above, you can place orders at a specific price. These orders will be Limit or Stop orders by default. To buy, click the cell at a price you want in the left column, to sell – in the right one. Another thing you can do with the new feature is manage your trades by closing open positions or cancelling orders. Traders can also change any settings they like from the DOM window, simply by clicking the MODIFY button. Further, to cancel only one order, click the X next to the order’s tag. The new update also includes a Close All button which will let traders close all open positions sequentially with a single click. TradingView is a data-driven investor community which offers a comprehensive charting tool. The company’s approach differs from other social trading networks because it is chart based with an emphasis on visuals to support investing and provides communal space to view and share trading ideas. TradingView also has a web-store where users can purchase access to third-party tools. Also recently notable for TradingView is how it has been able to deliver access to a multitude of brokerages to its charting solutions through a new partnership with Tradeable.